To apply for multiple jobs select the checkboxes associated with the jobs, and click the “Apply for selected jobs” button on the bottom of the page. Provide high standards of customer service to all guests by processing and presenting food and drink orders in accordance to standard operating procedures. Create and maintain a friendly, welcoming, clean, organized environment for guests and co-workers. 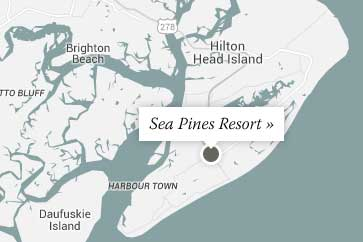 Act with integrity, honesty and knowledge which promote the culture, values and mission of The Sea Pines Resort. To display assertive hospitality and friendly service to ensure total guest satisfaction. At Cups & Cones our Ice Cream Scooper’s have the main responsibility of manning the ice cream stations and in addition to serving the orders of the customers, they also need to keep the workstation clean in accordance to the company’s standards in sanitation and cleanliness. Scoopers are also required to observe proper personal hygiene since they will be directly processing the order of customers. They also need to learn the standard policy of the company when it comes to food handling and preparation and implement it at all times. Works cooperatively with team of managment to oversee F&B operations and staff on a daily basis, utilizing respective managers and supervisors in compliance with budgeted guidelines. Supervises daily restaurant operations; assists with menu planning, maintains sanitation standards and assists servers and hosts on the floor during meal periods. Strive to continually improve guest and employee satisfaction and maximize the financial performance in areas of responsibility. Prepares, seasons, and cooks soups, sea food, meats, vegetables, desserts, and other foodstuffs for consumption in restaurant outlet by performing the following duties. The Overnight Butler is responsible for providing a memorable experience for all guests throughout their stay, providing a warm welcome to all resort guests for late arrivals and maintaining the same Forbes Standard level of service provided throughout the daytime shifts, and into the overnight hours. This is an overnight position. Assists cooks in preparing foods for restaurants and maintains kitchen work areas and restaurant equipment and utensils in clean and orderly condition by performing the following duties.